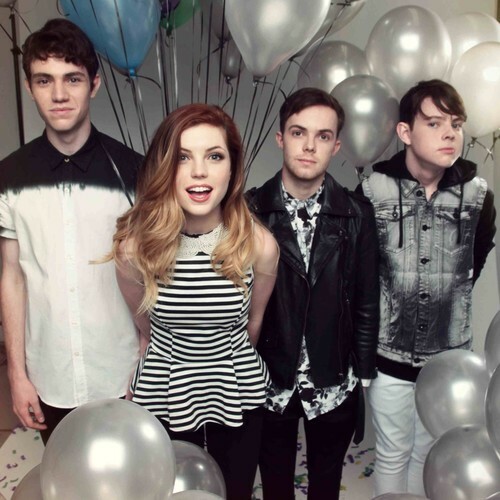 With the beginning of 2014, Echosmith has a lot to live up to. 2013 brought them a successful debut album, Talking Dreams, and the opportunity to promote by touring with bands such as Tonight Alive, For The Foxes and The Downtown Fiction. Lead vocalist Sydney Sierota recently chatted to ATP! about the story behind Echosmith, as well as the adventures her and her band of brothers have experienced this past year. Once the album was released, the attention it received was nothing but positive. Through the ATP- sponsored fall tour with Tonight Alive, Echosmith was able to see first-hand how their audience was responding to the new tunes. The tour couldn’t have gone better for these California siblings, who were able to see fans singing along and connecting with the songs each night. Sydney also recalls having great conversations with fans about the album and their connection to it. Such eye opening experiences for the group of teenagers really reminded them of why they’re doing this – not only for themselves, but for those who feel the same way they were feeling when the songs were written. “Not many people our age are making music like us,” Sydney says. As for 2014, this band isn’t stopping any time soon. Expect lots of touring this year – from their college tour this January and February to touring outside of the United States, the name Echosmith is sure to be everywhere. Talking Dreams is out now via Warner Bros.